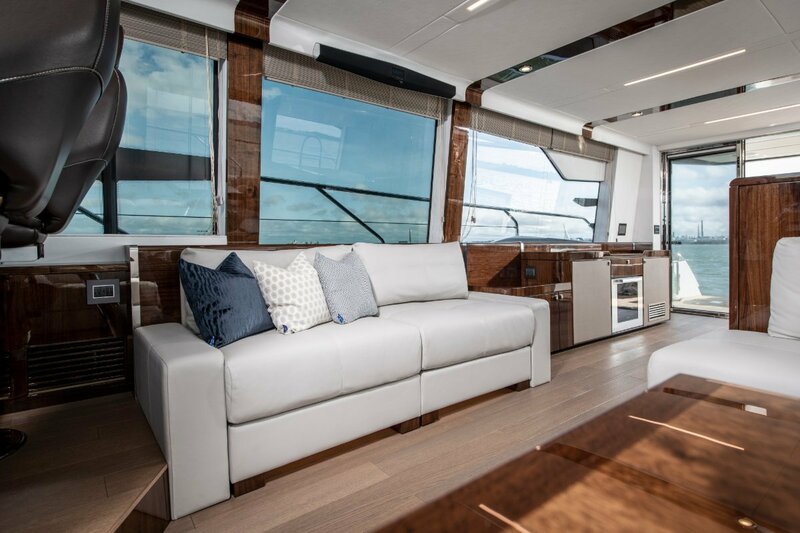 Spend all day on the expansive flybridge, with three individually-styled areas to suit your mood. 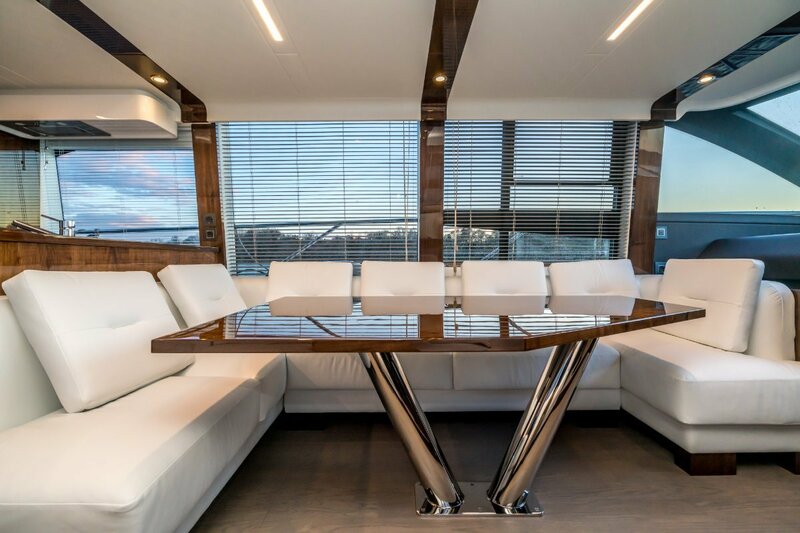 From triple sun loungers to sumptuous dining to forward seating, the Squadron 64 adapts to whatever you want to do, whenever you want to do it. 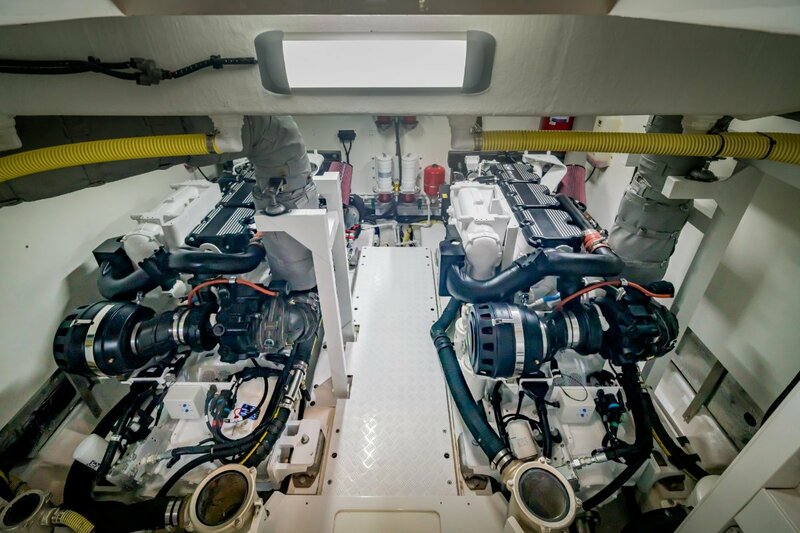 Whether resting at anchor or cruising off shore, adjust your environment to enhance your experience, just the way you like it. 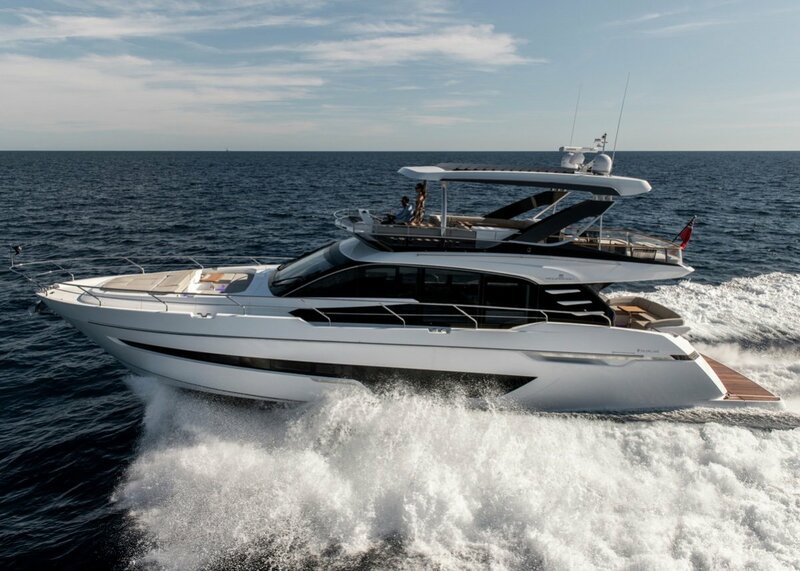 With contemporary styling by Alberto Mancini, the Squadron 64 is effortlessly modern. Packed with the latest technologies, the highest quality of materials and made, by hand, in England. 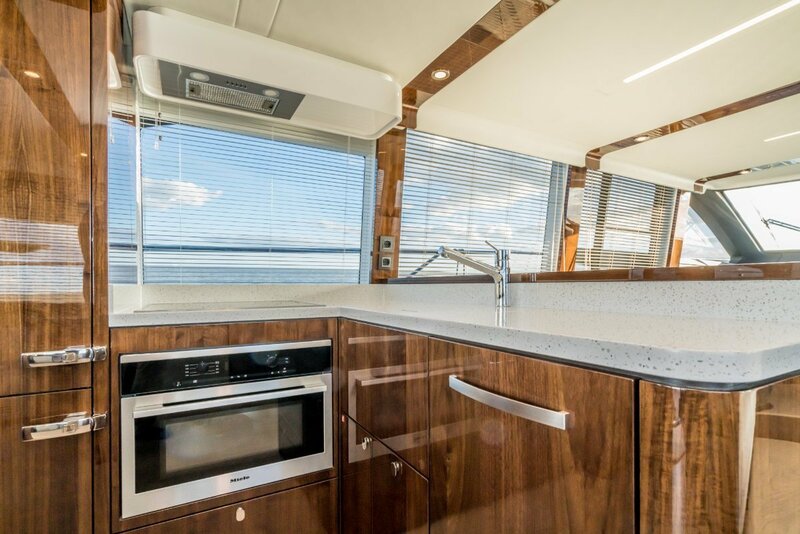 The new Squadron 64 pairs fashionable convenience with a considered layout ensuring family adventures beckon every time you approach its sheer, alluring beauty.